(Austin, Texas - Tuesday, March 19, 2013) - The process to elect new 2013 board of directors members for the two organizations that comprise the Texas Horsemen's Partnership, LLP, the Texas Horsemen's Benevolent and Protective Association (THBPA) and the Texas Thoroughbred HBPA, Inc. (TTHBPA), has concluded. In these difficult economic times while our industry is in decline because of both the overall economy and the fact that Texas racing is handicapped by its lack of alternative gaming compared to all its neighboring states, the THP has been fortunate to have such strong and dedicated horsemen and women serving on both of its boards of directors. The THPBA (Quarter Horses, Paints, and Appaloosas) was scheduled to elect two (2) owner representatives and one (1) trainer representative. 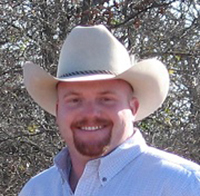 Owner Dr. Tommy Hays and trainer Guy Hopkins were reelected for another term, and owner Micah McKinney of Llano, Texas was elected to the board for the first time. The THBPA will elect its 2013 officers and appoint its representatives to the THP Management Committee at its first board meeting of the year. TTHBPA (Thoroughbreds and Arabians) members were selecting two (2) owner and one (1) trainer representatives. In the owner category, incumbent Secretary/Treasurer Kathy Stephens-Arnold retained her seat, and John F. Synowsky was elected to his first term on the board. Trainer Danny Pish defeated incumbent Eleuterio "Junior" Martinez to take the open spot in that category. Pish has previously served on the TTHBPA Board, and Synowsky replaced Dr. Tommy Bullard. The TTHBPA will elect its 2013 officers and appoint its representatives to the THP Management Committee at its first board meeting of the year. The THP would like to thank all the candidates who ran for election to serve and represent their fellow Texas horsemen. The THP would also like to thank outgoing THBPA Director, past president, and former THP Chairman Jim Helzer for his years of leadership and service on behalf of Texas horsemen and women. The THP would also like to thank Eleuterio "Junior" Martinez and Dr. Tommy Bullard for their years of service on behalf of the racing horsemen and women of Texas. NOTE: The Texas Horsemen's Partnership mistakenly published that John F. Synowsky was defeated and was not elected to the TTHBPA Board in the March issue of The Texas Horsemen's News. Synowsky was indeed elected to replace outgoing board member Dr. Tommy Bullard.